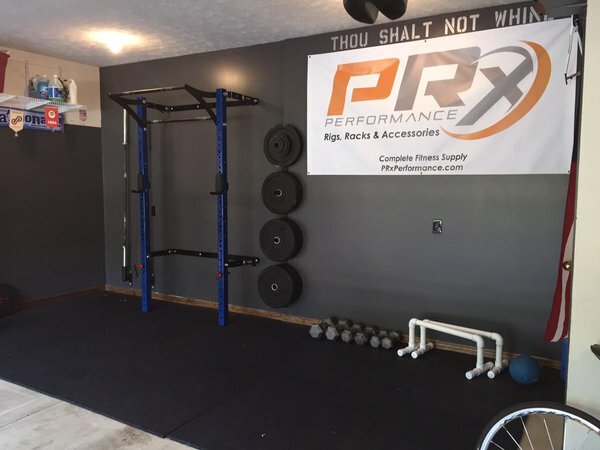 PRx supplies high quality, American-made products to health and fitness industry to help maximize performance. Providing industry leading Space-Saving Fitness Equipment. Including Folding Profile Racks Custom Rigs and Racks. Lift Big in Small Spaces. Stores only 4” from the wall. 2x3 Profile Rack sets the standard. The patent pending 2x3 Profile® Rack with Kipping Bar™ is the most economical space saving rack to hit the market today. 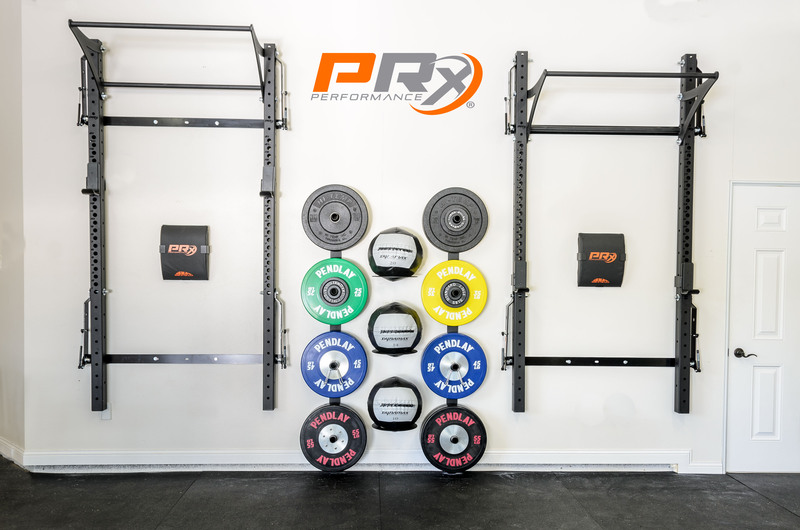 Easily transform any garage, home or small commercial space into a multi-functioning gym while sacrificing just 4” of wall space when not in use. Folding away requires no disassembly. Choose from a Open Squat Rack, Single Bar Rack, Kipling Raised Bar Rack. 3x3 Profile Rack changes the industry. The patent pending 3x3 Profile® Rack Pro with Kipping Bar™ is revolutionizing the workout space as we know it. Easily transform any commercial space into a multi-functioning gym while sacrificing just 4” of wall space when not in use. Folding away requires no disassembly. The Profile® Rack Pro offers heavy duty J-Cups, laser cut numbers and can be upgraded to one of our 8 custom colors. Choose from a Open Squat Rack, Single Bar Rack, Kipling Raised Bar Rack. Quality Steel, Built to Last. Made in the USA. Your investment to get Fit will last a lifetime. The PRx Profile Racks do it all. Anchor Points for Battle Ropes, TRX, Body-weight exercise - the list of exercises that can be performed go on and on. The 2x3 Profile Rack with kipping pull-up bar is the most popular and economical space saving rack to hit the market today. 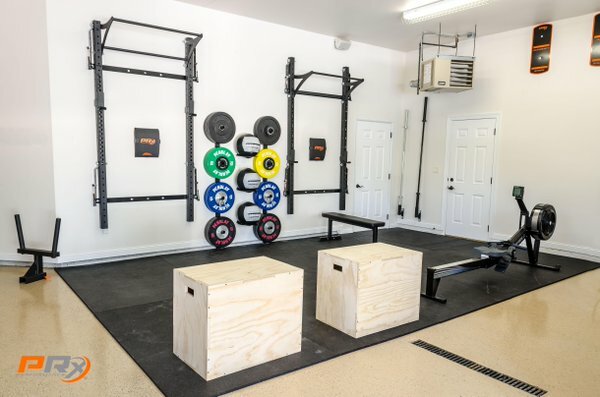 Easily transform any garage, home or small commercial space into a multi-functioning gym while sacrificing just 4” of wall space when not in use. No disassembly required. The 2x3 Profile Squat Rack is the most economical foldable Squat rack to hit the market today. 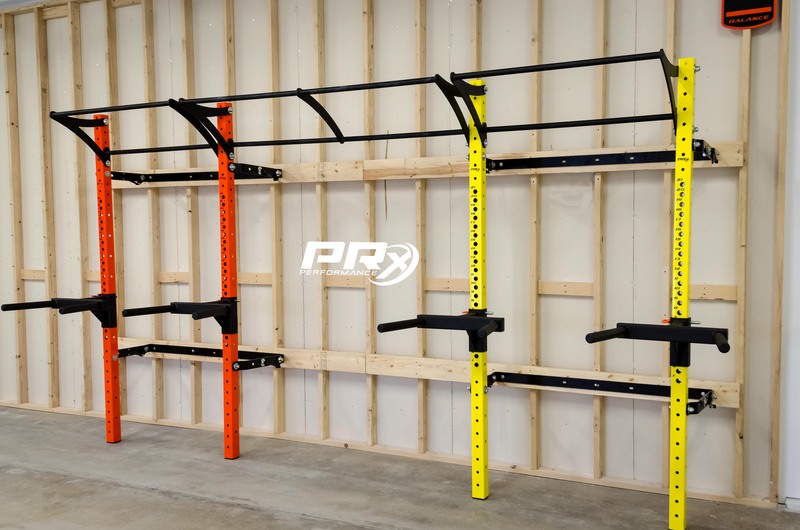 Easily transform any garage, home or small commercial space into a multi-functioning gym while sacrificing just 4” of wall space when not in use.